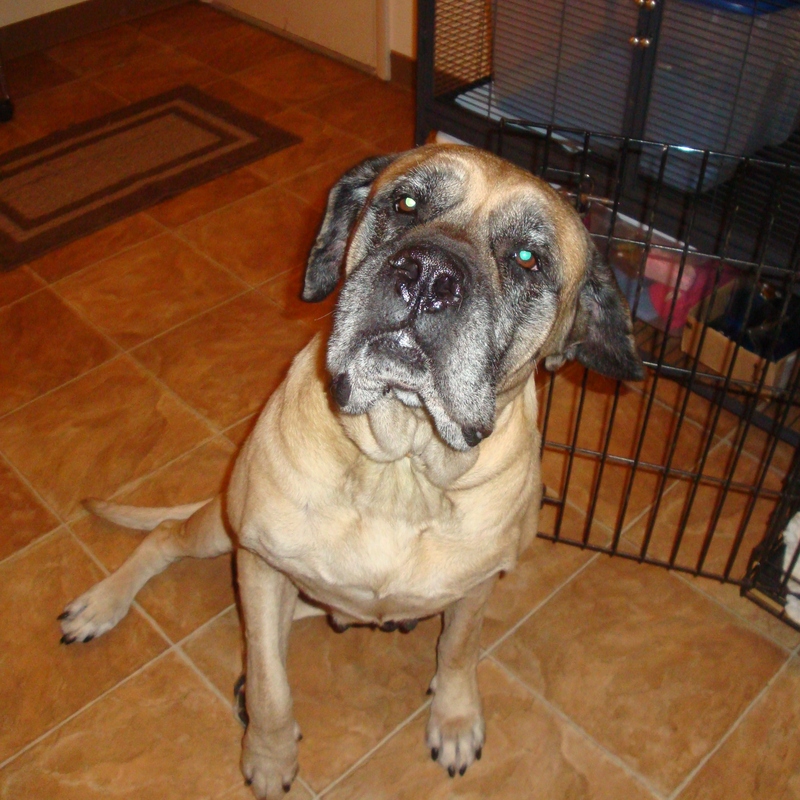 Rescue Dogs - This Forum is brought to you by The Mastiff Sweet Spot and Friends of the Forum. Hello! My name’s Delilah. 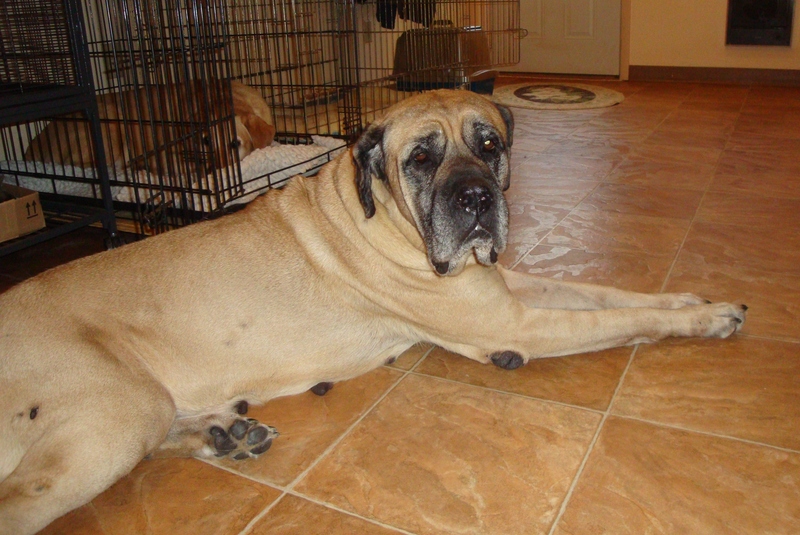 I’m a sprightly 6 years young, and I can’t wait for a family of my own to love. I’m willing to share you with another dog as long as he understands that I am She Who Calls the Shots, I’ve got plenty of energy and love to shower on you every chance I get, and my favorite thing to do is sit on your feet and get snuggled. I am kennel-trained, walk pretty well on lead (unless something small and interesting catches my eye! ), and enjoy a good bone. I’m also comfortable doing short flights of stairs, and like taking walks once I’ve gotten used to the neighborhood. Once I get comfortable in your home, I’ll be happy to hang with the family, investigate and romp in a fenced yard, and meet all your friends (as long as they promise to cuddle me). I’d do best in a home with someone who is home much of the day! Delilah was adopted to her perfect home. 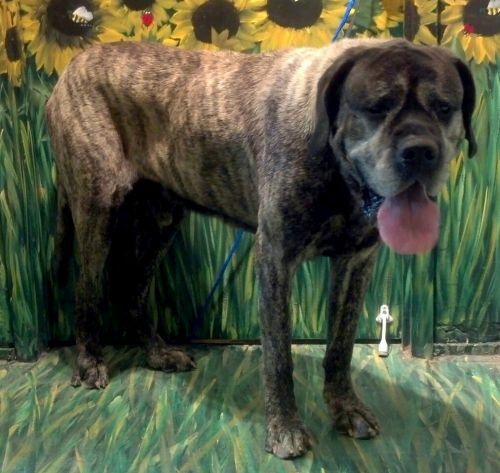 So happy to find this thread as I do get occasional calls from folks looking to rehome their mastiff & I try to do my best to be of help, and this is just another great resource. Heart Worm ++, can FORM grab this dog ?